The film takes place hundreds of years ago in the windswept sands of the kingdom of Agrabah, where a young street urchin named Aladdin wanders the streets, stealing and hustling for survival. Along the way, he’s joined by his loyal companion Abu, a clever and enterprising monkey. Yet, in stark contrast to the poverty-ridden streets below, the lustrous facade of a massive palace towers high above the urban world of Aladdin. Inside, the Sultan of Agrabah lives a carefree life of opulence and luxury with his beautiful daughter Jasmine and a cunning, ambitious adviser named Jafar. Forced to spend her days inside the palace walls, the headstrong Princess Jasmine sneaks out in order to experience the world around her. During this dangerous trek through the streets of her kingdom, the girl befriends Aladdin who is immediately awestruck by her beauty. 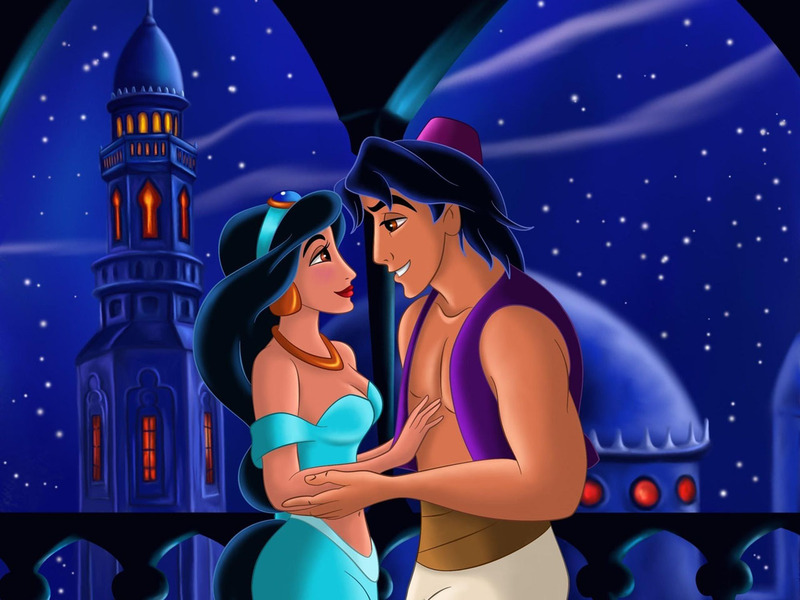 But when Princess Jasmine’s escape is brought to the attention of Jafar and her father, she is quickly rounded up, and Aladdin is thrown in prison. Hoping to seize the kingdom for himself, Jafar enlists the aid of Aladdin in an effort to obtain a fabled magic lamp, the purported powers of which are unlimited. Legend has it that only a “diamond in the rough” is capable of retrieving the lamp from the Cave of Wonders. All others will be swallowed whole by the endless sands of the desert.